At the end of the last book, Jarret West responds to a life-shattering conversion in the desert when he hears the Lord speaking to him. Suddenly he knows that his life is worth more than the hateful deeds that he’s committed in the past. However back home, he struggles with the reputation he carefully cultivated through his high school years. He’s the cool, tough guy, but how does this gel with his desire to turn his life around? In the meantime, twin brother Keefe West faces his own dilemma regarding God’s voice as he begins to simplify his life in imitation of the Franciscan Brothers he admires. He moves his extra bedroom furniture to the basement and establishes a prayer corner, but somehow that isn’t enough. Is God calling him to a religious vocation? 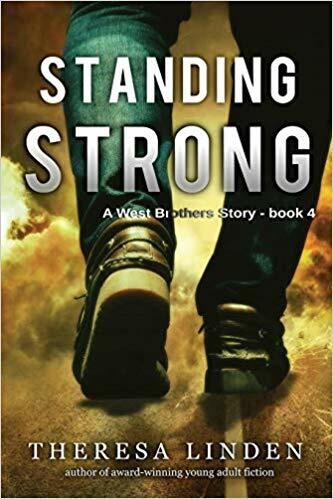 Standing Strong is the fourth book in the West Brothers Series. 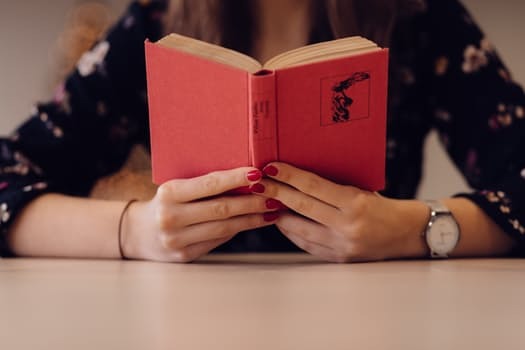 Another is scheduled for publication later this month, and I find myself desiring a writing workshop opportunity with the author, Theresa Linden. I want to learn how she continually develops a timely, interesting storyline while giving life to authentic characters so totally relatable to today’s teens. All three of the brothers, including the youngest one Roland, struggle with life since the death of their mother and because of the frequent absences of their father. However, in Standing Strong, significant changes bring entirely new challenges. For one thing, Dad is no longer on the road. Suddenly he is home, keeping his eye on the boys without explaining why. The brothers find this confusing and speculate on what could be the problem with their father including the notion that he is possibly dying. Then just as Jarret decides to change his behaviors to win the respect of his dad, he finds himself tempted by Chantelle, a girl who wants more than friendship. The old Jarret never hesitated when such an opportunity was presented, and though now he’s trying to listen to the voice of God, he isn’t quite sure how to maintain his resolve when God is no longer speaking so directly. Also, he finds it hard to control his temper, especially in regards to Peter, the friend of younger brother Roland, whose smelly trick of hiding Limburger cheese in Jarret’s car is still fueling the desire for revenge. He wants to do the will of God but maintain his cool at school. Such a possibility seems impossible following his rejection of Chantelle who then spreads rumors about him. Next, he is suspended from school for fighting with a fellow student who has been bullying Roland. Neither is conducive to rebuilding the father/son relationship. In the meantime, Keefe lacks the courage to confess his interest in finding out more about the Franciscans to his father. He wants to attend a retreat to discern the Lord’s call but is wishy-washy in committing himself because his father doesn’t seem to care much about their Catholic faith. Or is he afraid the Franciscans won’t want him? Maybe he’s not good enough to be a religious? It becomes evident to Keefe that God is the one in charge and giving Him complete trust will lead Keefe to the answers he seeks. Both boys find the answers they need in humbling ways that lead them to stand strong in their faith, and even to express the desire for their father to attend church with them as he did before his wife died. Finally, in the end, the West brothers find out that Dad isn’t dying; he’s planning to remarry, promising another big change in the family’s future. Despite my age that is way beyond that of a teen, I can’t wait to find out what happens next to the West Brothers! I’m ready to hear more about Roland and what challenges he faces as he matures. Once again, I emphasize the universality of Linden’s themes. Yes, the worldview is Catholic, but any teen or young adult will identify with the story and the people.